While claims of the “death” of the IP desktop phone are far from reality, devices deployed in the office do need an upgrade or refresh to keep pace with the evolving nature of the workplace. Research suggests that enterprises are seeking communication systems that incorporate a full set of communications tools—like voice, video, text, social, and more—as well as hardware and software customization options. 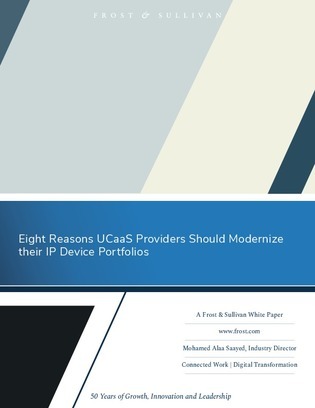 In this Frost & Sullivan research report, find out why modern IP devices continue to be important and how Avaya rises to the occasion by providing a broad array of communications endpoints options.